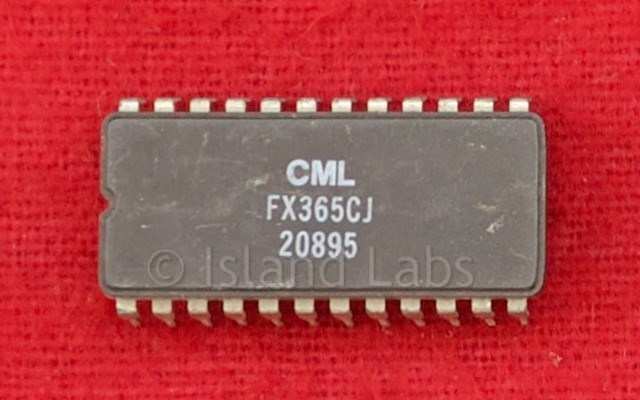 The FX365 is a CMOS LSI device intended for use as a CTCSS Encoder/Decoder in radio communications systems. Explicitly designed for microprocessor controlled multichannel equipment, the FX365 incorporates many advanced features which improve performance and facilitate system design. The tone frequency to be encoded or decoded, the Transmit Enable command and the monitor receiver audio command may all be entered via an 8-bit port and a load/latch pulse. Alternatively, the programming information may be entered via a serial data port and a data clock. The device has a new tone decoder design which reduces false decode outputs due to noise to insignificant levels. The tone encoder has a phase reversal facility, the tone decoder and speech path high pass filter have separate inputs, and both are protected against the effects of incident RF voltages. The speech path filter has low passband ripple, low output noise and a cut-off frequency of 300Hz regardless of the programmed CTCSS tone. Separate Rx and Tx audio paths are provided for prefiltering of Tx audio and rejection of the CTCSS tone in Rx mode. 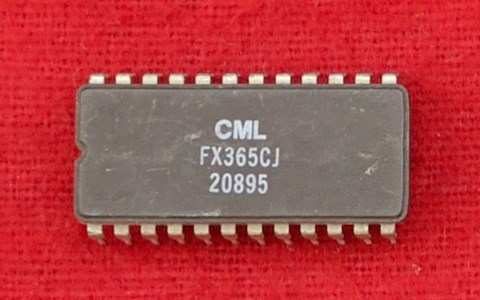 The FX365 uses a 1 MHz crystal reference oscillator, a single 5-volt supply; and the choice of DIL or SMT packages makes it suitable for fixed or portable equipment.